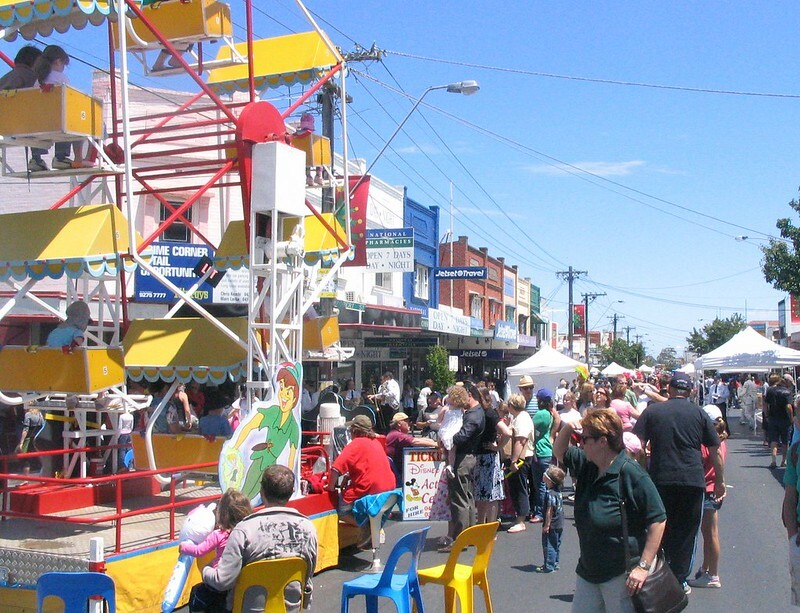 Bentleigh area peeps: the steam train is back tomorrow (Saturday 25th November)! 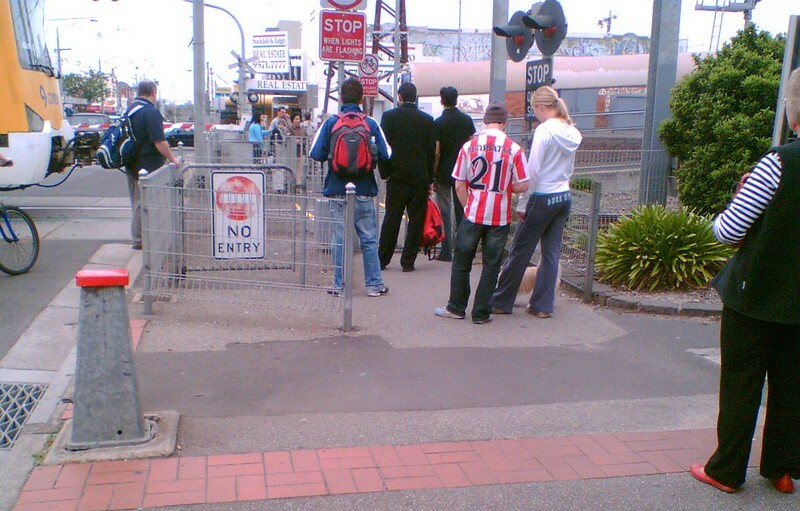 Meanwhile, here’s another of my sets of ten year old photos, this time from November 2007. The month started with a quick trip to Adelaide. 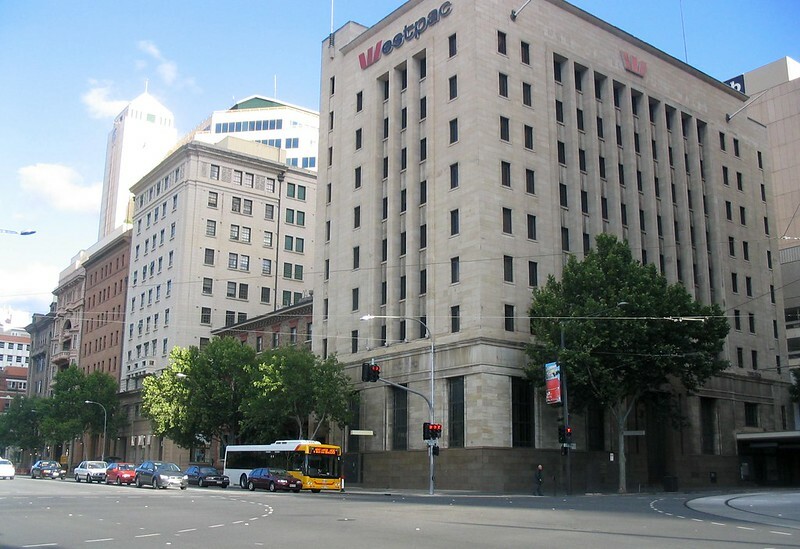 From the looks of Google Streetview, this corner hasn’t changed much except the branding on the grand old bank building. 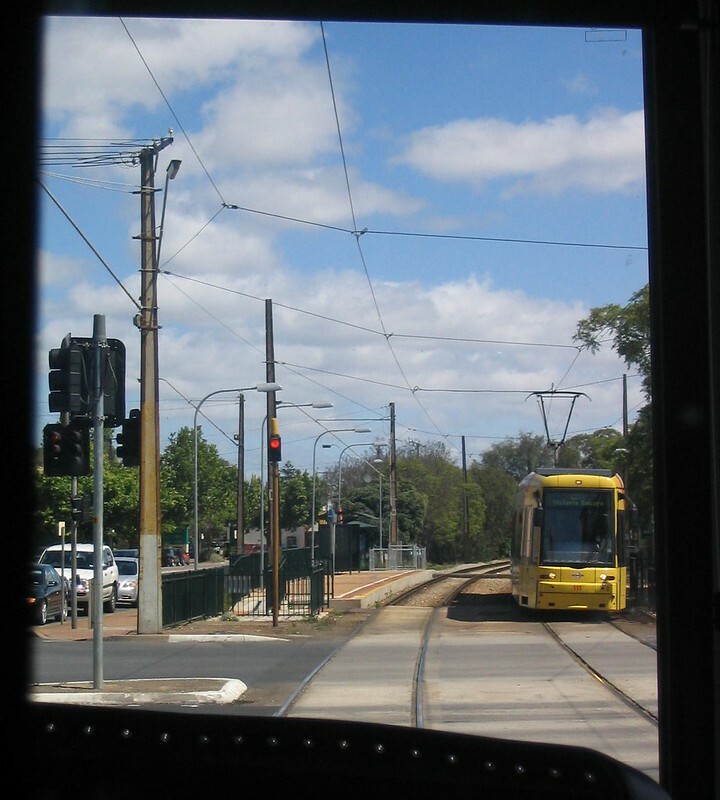 Back in Adelaide, more modern Adelaide trams… that got stuck at traffic lights. 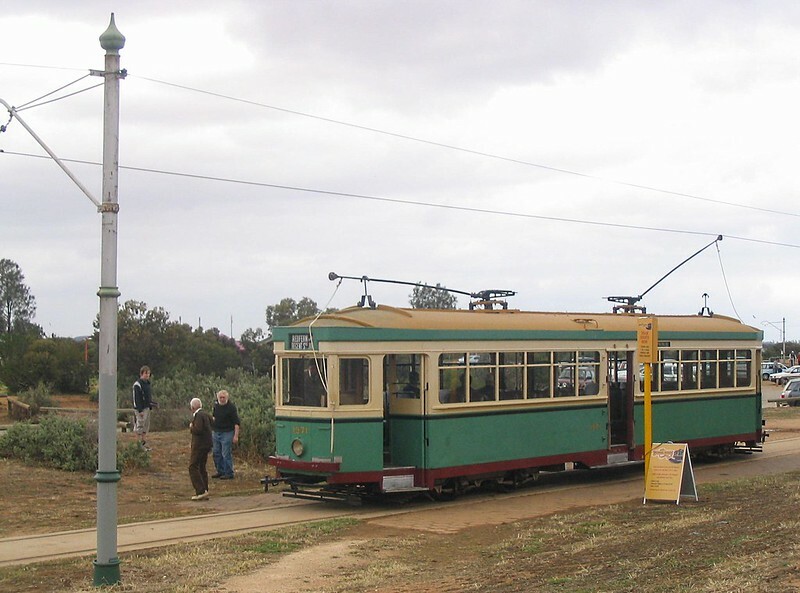 This was the CBD tram terminus just west of the main station. At the time, it had only just been extended there, and it’s been extended further north-west since. 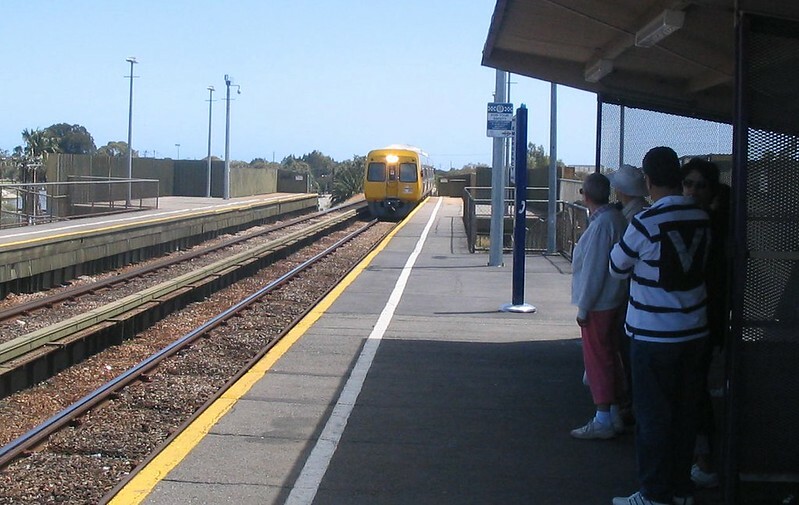 Diesel Comeng train at Port Adelaide on the Outer Harbor line. 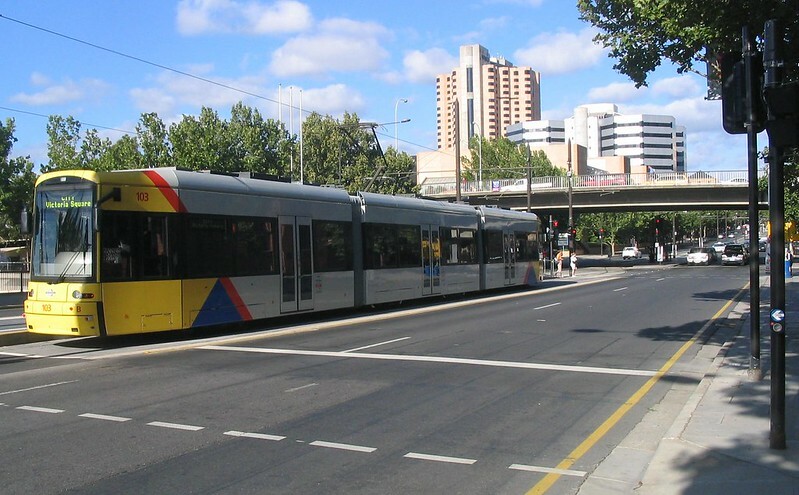 Some of the cities suburban services are being electrified and modernised. 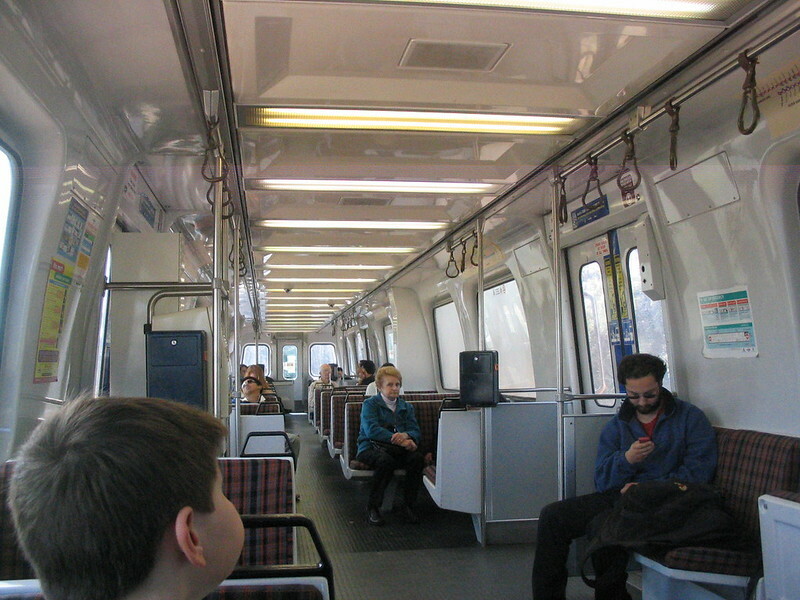 The train interior will spark memories for those who remember Melbourne’s Comengs before they were refurbished. 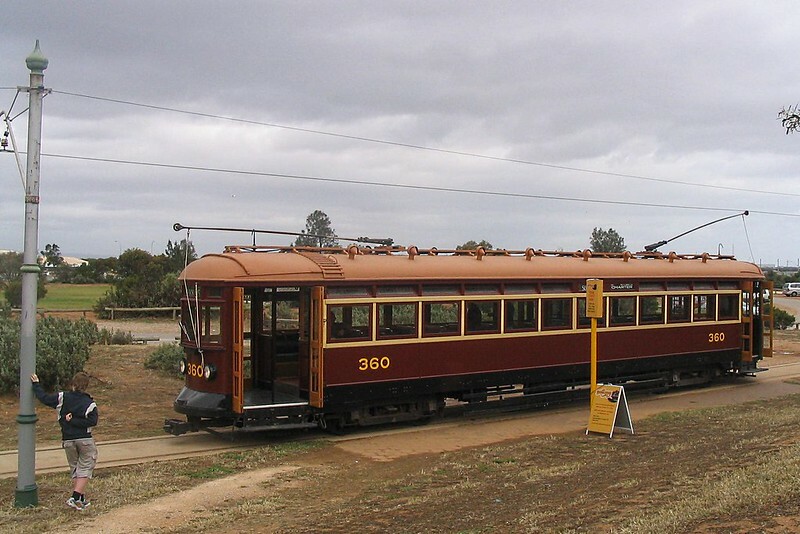 The Adelaide diesel units are still in use, but are being refurbished. 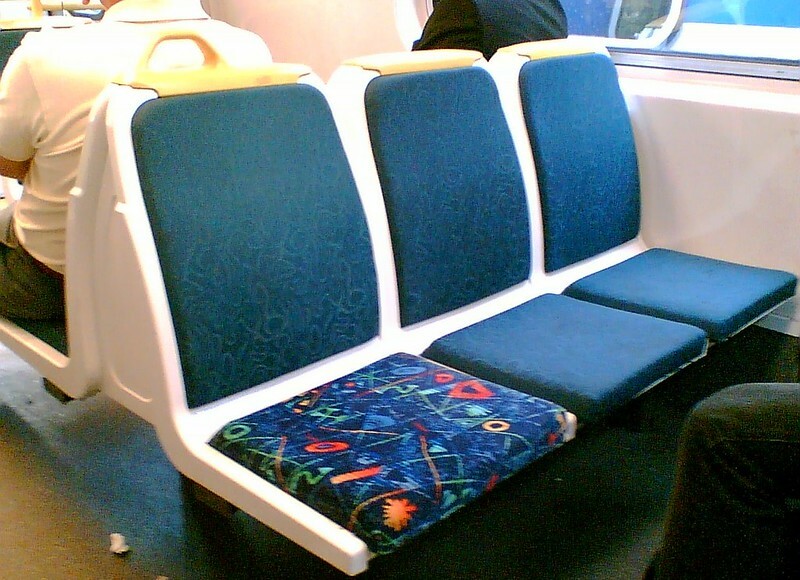 Back in Melbourne, this photo must have been to mark my first spotting of the new “Connex” seat covers appearing on former M>Train Comeng trains. 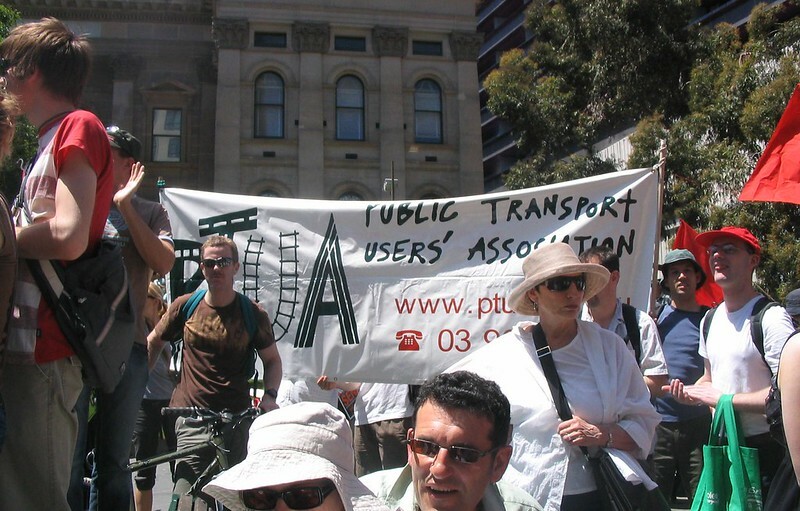 This was an occasional appearance at a rally (this one was “Walk against warming”) from the PTUA and its awkwardly-large banner with the incorrect apostrophe. You can see me holding one end. 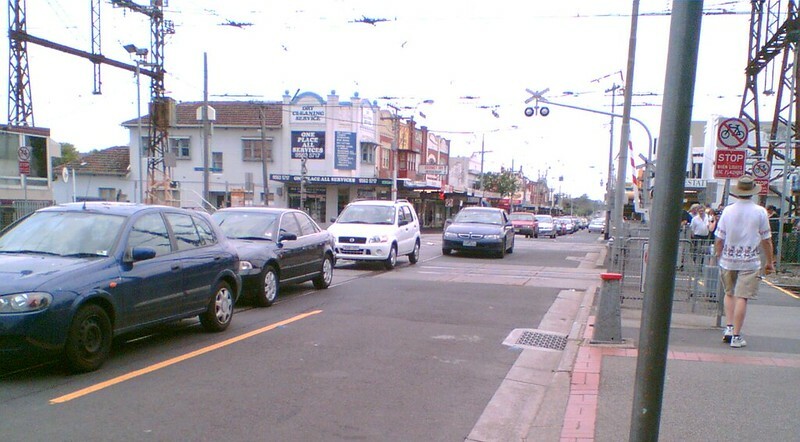 The Bentleigh festival used to fill Centre Road; they don’t run it anymore due to the cost. 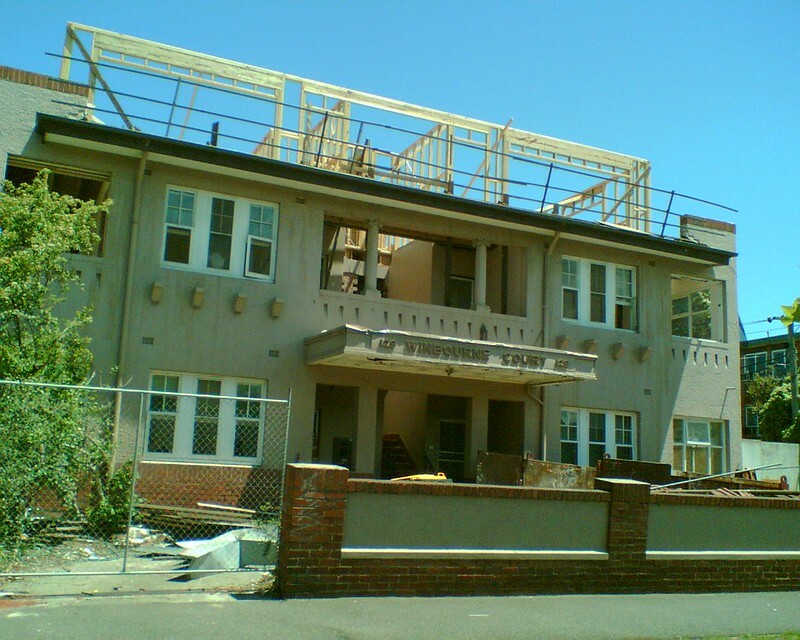 Friends used to live in this block of flats on Brighton Road in Elwood, which is why it was of interest. When they lived there it was two levels. Now it’s three. …and despite the dangers, motorists loved queuing across the tracks then… and still do it now. 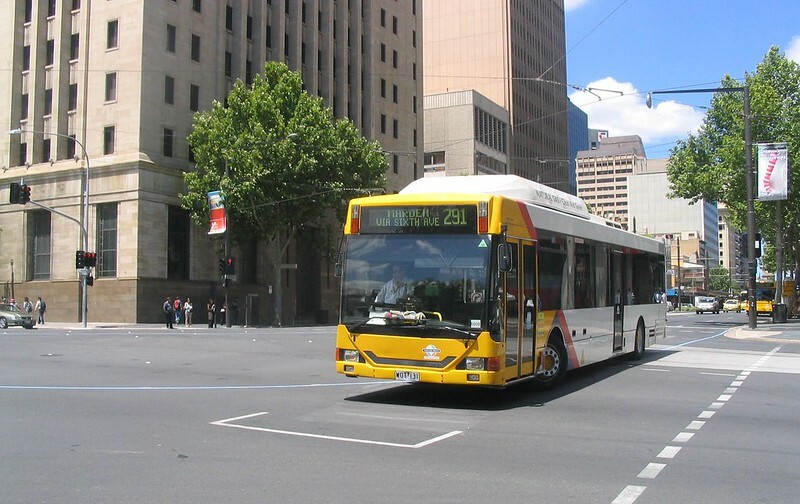 ← Previous Previous post: Is it time to buy a Yearly Myki fare? The apostrophe is not technically incorrect, but I realise it’s contrary to the style of dropping the apostrophe in proper nouns and street signs these days. Grammatically the apostrophe isn’t wrong, but it’s not part of the organisation’s name. That is, it’s an association of public transport users, not owned by. Or something!